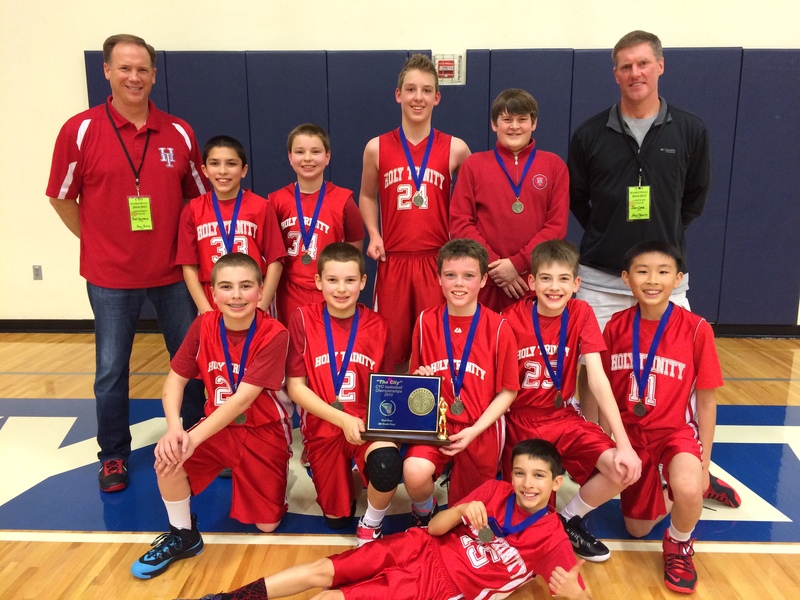 CYO 6th Grade Boys BXB Championships St. Andrew Nativity vs Holy Trinity…. Both of the teams participating were very athletic and smart teams. Both teams had great shooters. The teams were well matched and did a great job getting the ball up the court. Andrew Nativity moved the ball well on offense and kpept the lead the entire game. Holy Trinity never gave up and worked until the final buzzer. All Saints jumps out quick and slashes to the basket, often. Madeleine has a great shooter with lots of perimeter play tough jumpers falling! Lots of good shots and good passes in the 3rd quarter to bring the game to within 4 points. With 5:32 left in the game, Madeleine #10 ties the game 34 – 34. At 3:50, Madeleine takes the lead 40 – 38. Madeleine made some key shots to take the lead in the fourth. Both teams are well coached and all of the boys showed good sportsmanship, a credit to their coaches. CYO 8th Boys Holy Redeemer or Holy Trinity? 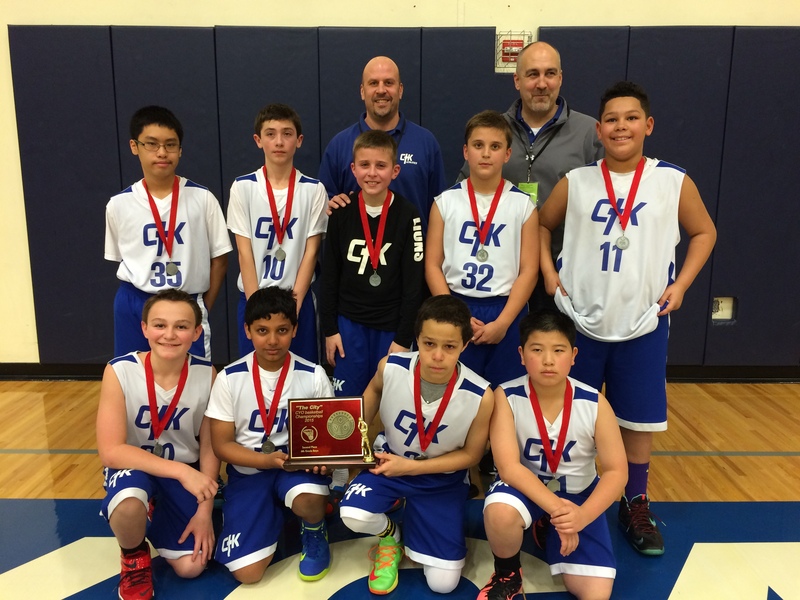 Holy Trinity – Three time defending CYO Champions. Q1: Exciting first quarter action saw both teams come out to a very fast paced high flying level of skill with a touch of jitters especially on the 3 time champion Holy Trinity team. Quarter score 13 – 5 Holy Redeemer. Q2: Holy Redeemer opened the quarter with a basket answered by Holy Trinity’s tall guy, Pickard. Both teams featured a variety of heights, stages of the growth process in action. Holy Redeemer’s Anderson answered on the other end of the court. Back and forth baskets and free throws resulted in a score of 20 -14 Holy Redeemer with 3 minutes left in the half. As both teams were fully warmed up and in their element by the end of the first half, there was evidence the game would be a good one. Holy Trinity would be within 4 points before a free throw made it five for Holy Redeemer at the end of the half. Half time score: 23 – 18 Holy Redeemer. Q3: Holy Redeemer’s Johnson scores the first hoop of the half and Holy Trinity is unable to answer on the other end. Phillips puts another two in for Holy Redeemer and Trinity again loses the ball under their basket. Time out…regroup. Lang goes to the free throw line and sinks one, sinks two. Holy Redeemer travels on their end and Holy Trinity gets another chance to reduce the deficit. Airball! Holy Redeemer throws it out of bounds on an inbound as Holy Trinity takes over again ball stripped and two more points Redeemer. Anderson shoots a three pointer and it swishes through the basket. Holy Trinity answers score 34 – 26 Holy Trinity. Holthaus attempts another hoop and draws a foul, misses one, misses two, Redeemer rebounds, Trinity steals and Lang is fouled at the layup. Lang misses one, hits one. Lang draws another foul on the next trip down, hits one, hits two now a 5-point game! Holy Redeemer puts in another two and that ends the quarter 36 – 29. Q4: Lang opens the quarter with a hoop and Shuster draws a foul on the next trip down. Misses one, (don’t those free throws add up? ), misses two, back and forth ensues for three trips up and down before Redeemer adds another 2. Pickard answers with a mighty muscle shot from below the hoop and time out is called, 38 – 35. Holy Redeemer inbounds the ball, Hallinan shoots, misses, Johnson rebounds and puts it in. Both teams give up the ball, Trinity’s Shuster picks up a free throw opportunity and puts them both in. 40 – 37 Redeemer. Houston…we have a game! Holy Trinity fans go crazy, launch into some great cheers, Redeemer joins in and the house is rockin’! Holy Redeemer adds a score by Ridgeway after several player-attempts his goes in followed by another bucket by Anderson on the next trip down. Redeemer 44 – 37 and Trinity’s Valluri fouls. Two minutes left in the game and it is not looking good for the three time defending champions. Not a team to roll over and play dead, Lulay scores for HT and they are still in the game. Anderson scores again not letting the door open again and he steals the ball, draws a foul. Holy Trinity takes it down the court but Lang cannot convert, Redeemer picks it up and draws another foul and this time Anderson goes to the line for two. With 46 seconds left and score of 46 – 39, Anderson throws the ball in as Holy Trinity begins the fouling sequence to extend the season a few minutes. Hallinan hits two for Redeemer as Holy Trinity rolls the ball down the floor then Lang shoots a three pointer and misses. Hallinan misses but Johnson puts it up for him and scores two more points. Shuster puts up a three but again they miss and Johnson goes to the line for Holy Redeemer. With a twelve-point lead and ten seconds to go, the Redeemer starters head to the bench and the game ends 52 – 39 Holy Redeemer. It is a great game in spite of the score. Holy Trinity has won the past three championships but today it went to Holy Redeemer. Both teams played great games and it was fun and exciting to watch.